Designed with intuitive adjustments and ease of use, the Sylphy Mid-back office chair is made to fit almost everyone for comfort all day long. 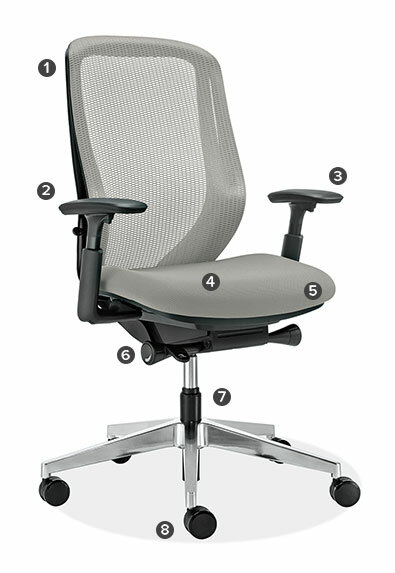 The S-shape back mimics your spine and features recline and tilt-adjustment dials that require few rotations to move between settings. Its multi-density foam seat cushion is softer in front and firmer in back for enhanced support. This chair is avialable in the U.S. only at Room & Board.